All Ryder Cup, All the time! The application process is now open and potential volunteers for Ryder Cup 2014 can apply for up to three different roles from a choice of 15 positions. The closing date for applications is midnight on 14th April 2013. Volunteers are sought to fill a variety of roles both on and off-course, including: scoreboard carriers; park and ride volunteers; crowd safety marshals; bus ambassadors; programme and radio sales assistants; buggy shuttle drivers; and media centre or merchandise pavilion assistants. European Captain Paul McGinley is to front the volunteer programme personally after seeing first-hand the positive influence of volunteers at previous matches. He said: “It takes a huge team of people to make The Ryder Cup a successful event, and the thousands of volunteers involved are a very important part of that. “We are always appreciative of anyone who gives their time to volunteer and support golf and there are not many countries in the world better than Scotland for producing volunteers and marshals whose golf knowledge is second to none. For more information on eligibility and how to apply to be a volunteer, please visit www.rydercupvolunteers.com. It is also possible to pre-register interest for hospitality packages for The 2014 Ryder Cup by emailing rydercuphospitality@europeantour.com, and for tickets via the European Tour website. I was really proud to accept the invitation from the Tournament Committee to be Captain because it was decided unanimously, by the players themselves, and that meant a lot to me. I have been on Tour for some 26 years now and I have known a lot of players – some who are not with us any more to some who are just starting out in their professional careers – so to have their unanimous vote meant so much. Everyone who knows me, knows The Ryder Cup is welded to my heart. We want to keep the Cup – of course we do – but I know that Davis and the American team share with us the desire for the match to continue the tradition of fair play and good sportsmanship which has developed since it all began in 1927. I have wonderful memories of The Ryder Cup, especially with my great friend Seve, but this is something totally different. There is a huge responsibility being the Captain and it is one of the biggest challenges of my career. But I am relishing it. 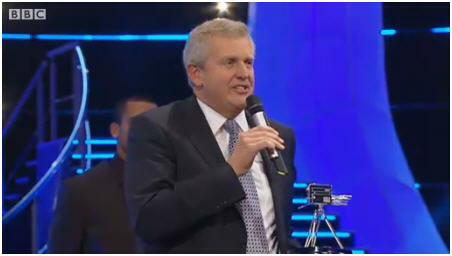 Colin Montgomerie was presented with the BBC Coach of the Year award for his work with the Ryder Cup Team. Without wishing to denigrate his magnificent achievement in Captaining the winning team, this was a bit of a populist blooper by the BBC. The Ryder Cup Captain’s role has absolutely nothing to do with coaching. Giving this award to Monty undermines the terrific work being done by golf coaches like Pete Cowen. 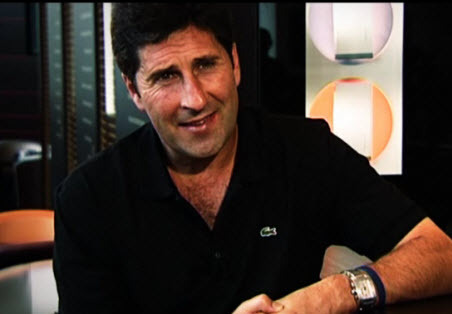 In 2010, Cowen schooled Westwood to the world number one spot, McDowell to the US Open and coached the top three finishers at the Open Championship. That’s real coaching. Paddy Power drew fire from organisers with the errection of a massive “HOLLYWOOD” style sign in a field overlooking the event. Celtic Manor owner described Paddy Power as scum following the “guerrilla marketing” stunt outside the boundaries of Celtic Manor as the Ryder Cup got underway on Monday. Following the court case Paddy Power has been given 3 days to disassemble the sign at Celtic Manor and leave the Ryder Cup to carry on un-Paddied! We’re always getting enquiries for the odd years. This is just to let you know that there is no Ryder Cup Match scheduled for 2011. Ryder Cup 2012 is the next Ryder Cup Match and it will be played in Medinah Country Club in Illinois. Ian Poulter has caused a storm in Golf circles by posting a video on twitter showing him eating cherios from the Ryder Cup Trophy. 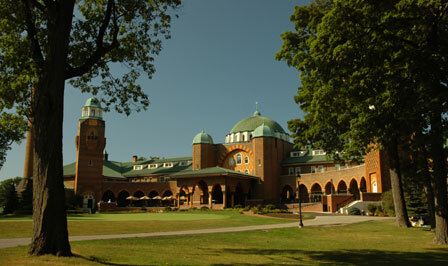 Ryder Cup 2012 will be hosted by the US at Medinah Country Club in Illinois. This is a historic club which dates back to the 1920’s and it’s clubhouse has a unique architectural style. The PGA Championships of 1999 and 2006 and US Opens of 1949, 1975 and 1990 were all played a Medinah. Congratulations to Europe on their 14.5 to 13.5 win over the US! Fantastic golf which is a testament to the Ryder Cup. The US team started well and cranked up their play today to take this to the 17th on the last match. Great excitement!